Marivic is an ASP National Trustee and the current Vice-President of ASP Laguna Chapter. A Trainer for Work, Live and Play Program to young adults with autism at Autism Resource Center (ARC). Marivic is a pillar of the autism advocacy community in Los Baños, immersing herself in special education and training and empowerment programs over the years. As an ASP delegate, she was elected to the board of the Philippine Community Based Disability Inclusive Development Network. 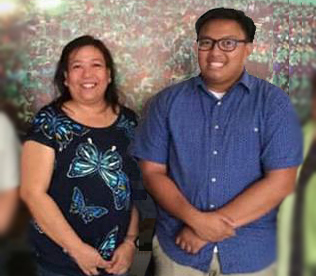 She is a single mother to a 23 years old young adult with autism, Victor Michael "Mico" Ramos who is now working at ASP National Headquarters as Junior Program Assistant.